Social responsibility is very important to Aldridge and it has become a cornerstone of the company culture. The Aldridge family makes it a priority to focus their charitable giving on causes that are near and dear to their hearts, and the hearts of their employees. All employees are encouraged to support causes and develop a personal connection. We are dedicated to giving back to the community. Below is a list of some organizations that we regularly support. 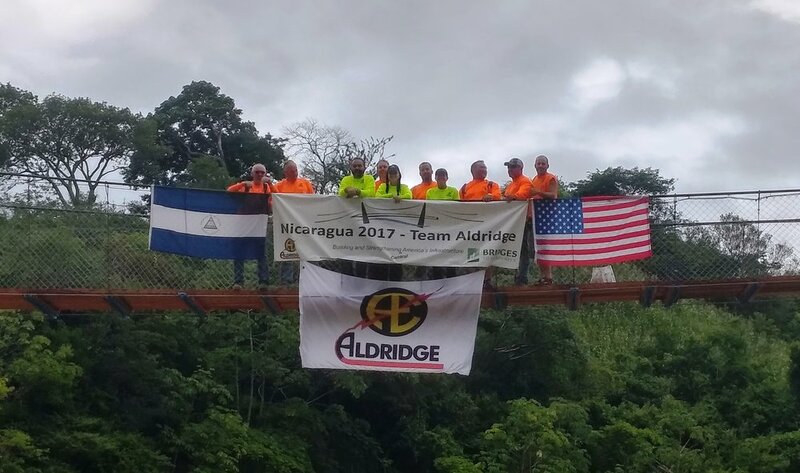 Aldridge has partnered with Bridges to Prosperity to provide isolated communities with access to essential health care, education, and economic opportunities by building footbridges over impassable rivers. Greenhouse Scholars identifies young leaders in underserved communities, mentors and financially supports them through their college experience. For the last 3 years, Aldridge has sponsored a local student through their college experience at Pomona College in CA and participated as a sponsor at various Greenhouse events.